You are here: Home / Dallas/Fort Worth Events / Brick-Or-Treat Returns To Legoland®! 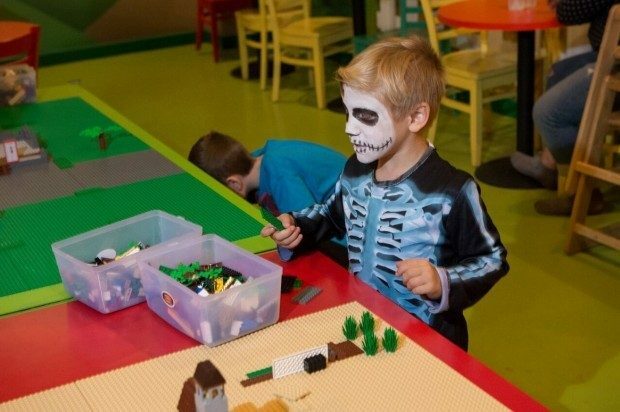 Grapevine, Texas – Bring your little monsters to LEGOLAND® Discovery Center Dallas/Fort Worth and get into the Halloween spirit with Brick-Or-Treat. Don your favorite costume and get ready for some spooky fun with several family-friendly activities October 24 through November 1. Tickets: Admission is $21 for guests 3 years of age and older, and FREE for kids 2 and under. To purchase special discounted tickets visit www.LEGOLANDDiscoveryCenter.com/dallasfw.